A genealogy web site claims that it has evidence showing that the actor who plays sparkle-vampire Edward Cullen in Twilight is related to Vlad the Impaler - the real-life Dracula. Many nerds and fans of classical horror turn up their noses at the portrayal of vampires in Stephenie Meyer's obscenely popular Twilight novels: They sparkle in the sun instead of dying, they don't have to feed on humans, and they're love-struck and "emo." 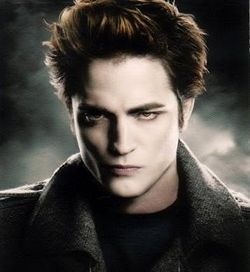 But if a genealogy group is to believed, actor Robert Pattinson - aka Edward "Sparkle McBroodypants" Cullen - is distantly related to a real vampire. Or as real a vampire as they get, anyway. On Wednesday, Ancestry.com claimed that its research showed that the British-born Pattinson was related to 15th-century despot Vlad III Dracula, a ruler whose notorious cruelty earned him the nickname "Vlad the Impaler." Vlad's exploits would go on to influence Bram Stoker, who gave the ruler's epithet to his iconic vampire in the 1897 novel Dracula. According to Ancestry.com's Anastasia Tyler, Pattinson's roots likely trace back to Vlad the Impaler through the current British royal family. "Tracing Pattinson's family back to Vlad was difficult research, but the pieces that unraveled created the perfect accompaniment to The Twilight Saga," said Tyler. It's an interesting bit of trivia if true, yes, but I can't help but agree with the Fandango bloggers: This is tenuous at best. By peppering their claims with "probably" and "likely," it's hard to see any real evidence in Ancestry.com's claims, which is kind of understandable given that we're talking about tracing family ties back centuries. In fact, given that the third Twilight movie, Eclipse, is scheduled to come out next Wednesday, this thing strikes me as little more than a publicity stunt. I'm not saying that it's necessarily not true, but the whole thing just strikes me as incredibly vague. Of course, given that Robert Pattinson has made it publicly clear how much he dislikes the Twilight saga, maybe after the movies wrap up he'd like to get in touch with his distant ancestor and do a movie where he plays an actual badass vampire instead of a wuss like Edward.